Carnival Lounge - Vijay Nagar, Indore, Cinema, Movie show timings - IndoreRocks!!! Carnival (Broadway) Cinemas are well equipped with latest, state-of-the-art projection & sound technologies ! All screens are 3D Enabled ! 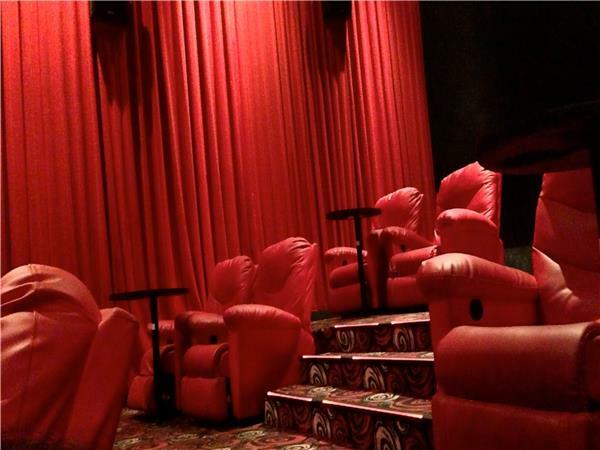 Carnival (Broadway) Lounge has the premium luxury seating of well-cushioned reclining sofas ! A snack bar with a wide range of F&B products is also there in the cinema complex ! However, in Carnival (Broadway) Lounge, F&B service on the seat is available ! Carnival (Broadway) not only screens movies of different genres but also movies in different languages (Hindi, English, Marathi, Tamil, Malayalam, Bengali, etc.) ! The theatre is awesome and the food is good. Audia visual effects are very clear. Cleanliness is maintained in theatre and washroom and lounge area. The theatre is awesome WheN it comes to Audio and visual effects. thumbs up!